At the start of another session I am reminded of the work we accomplished in the last few years, including significant dollars to fund basic education, expanding and improving early learning, building the Apple Health program to expand health care, and passing paid family leave. These were monumental accomplishments. But we’re not done, and the Speaker reminded us of that fact. “Working together in good faith, our accomplishments will continue, as long as there are people like you willing to make it happen,” said Speaker Frank Chopp. He’s right. If we work together and focus on people first, we can get a lot done. This is an ambitious list and there’s a lot to do in a 60-day session. But I’m off and running. The Washington Voting Rights Act would allow communities that are systemically disenfranchised in local government elections to work collaboratively with their local governing bodies to adjust local elections without going through costly and time-consuming federal litigation. If this collaborative process fails after six months, a process that is not available under the Federal Voting Rights Act, communities can then seek relief in state court. Passing the Washington Voting Rights Act will result in an improved process for addressing systems that perpetually disenfranchise significant segments of local voting populations. I’m supporting this measure to give underrepresented voters a stronger, more meaningful voice in the government closest to them, and empower them to elect leaders that best reflect their community’s values and vision. Every other week I get the opportunity to respond to constituent e-mails on camera, so I welcome your questions! 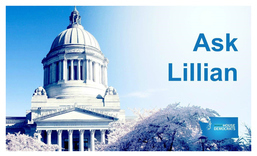 In this first Ask Lillian of 2018, I talk about one of my bills, the Fair Chance Act. Click on the image to watch the video. 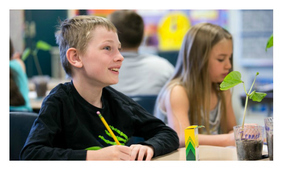 The state’s paramount duty is to fund basic education for every student in Washington. Over the years, that funding became inadequate and the Supreme Court ruled the Legislature had to meet its obligation. It wasn’t easy. Compromises were needed with a Republican-led Senate. But in 2017, the Legislature enacted the last remaining major piece of legislation to get our education funding system back on the right track. The state Supreme Court recently upheld our plan, putting more money into classrooms and better teacher salaries. 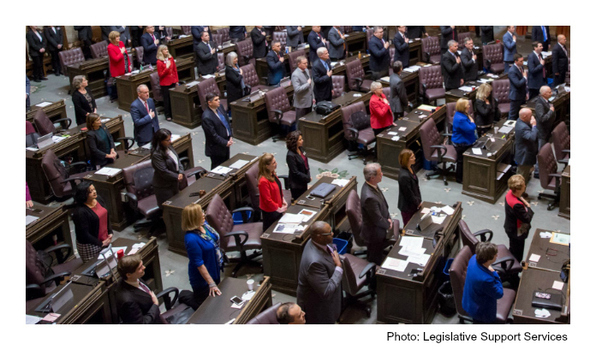 They agreed with nearly every element of the state’s new education funding model. The timeline – fully implementing new teacher salaries in 2019 instead of 2018 – was the one exception they took with our plan. Despite that one year difference in the timeline, public schools will be fully funded by the start of the 2019-20 school year. This is a great achievement that was over a decade in the making. Lawmakers will continue to discuss possible remedies to the Court’s objection in the one-year difference in timeline, but we have a plan in place now. That plan does need some fixing. Lawmakers are working with school officials and education leaders to address important issues like special education, class size reduction, and levy flexibility. But as I’ve said all along, our focus needs to be on improving student outcomes and boosting academic achievement. There are several efforts on multiple fronts to reduce carbon pollution and mitigate the effects of climate change on our state’s people, communities and economy. One of these is House Bill 2338. 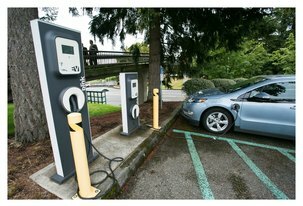 It would direct the Washington State Department of Ecology to adopt a rule establishing a Clean Fuels Program (also known as a low carbon fuel standard) to limit the greenhouse gas emissions per unit of transportation fuel energy to 10 percent below 2017 levels by 2028. This would lead to improvements in local air quality, as well as boost our clean energy economy. Call or email your legislators. Read the How a Bill Becomes a Law page. Learn how to read a bill. Research issues important to you. Testify at a committee public hearing. View calendar here. Tune into broadcasts of hearing and floor action online on TVW. Our democracy is strongest when everyone has the ability to learn about the issues and share their comments, questions and ideas. I hope to hear from you soon!